If the North Melbourne Football Club boys thought 100 mins of Australian Rules Football was a tough but fun day out, they gained a whole new perspective today when they fronted up to the Delta Force Paintball centre at Dingley near Melbourne. The fourth oldest Australian rules football club in the Australian Football League (AFL) and one of the oldest sporting clubs in Australia and the world, they may well be, but when they arrived for the challenges set for their end of year break up celebrations. 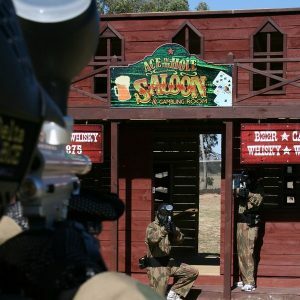 The historic club faced the world’s largest and most professional paintball facilities with some 37 centres worldwide, 24 years of experience and over five million players already having enjoyed the unique game play Delta Force Paintball offers its customers. 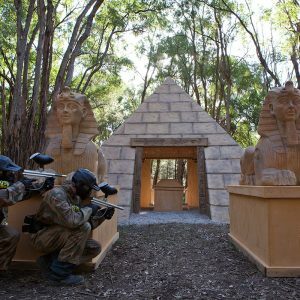 The North Melbourne Kangaroos stormed the amazing combat zones of the Dingley location with gusto as the team at Delta Force Paintball put them through a full day of team building scenarios on playing fields featuring movie set quality props and buildings. Team solidarity was surely strengthened as they learned to protect each other and work closely together forming and implementing strategies as they breached the Pyramids at Tomb Raider, defended the aircraft at Checkpoint Charlie and rustled up some trouble at Dodge City. 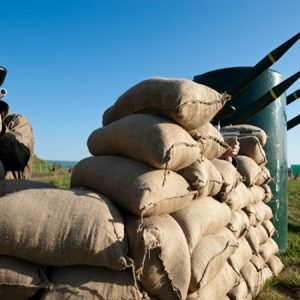 The guys were thoroughly impressed with the mixture of real military hardware, high quality movie style props and buildings on the fields of play. 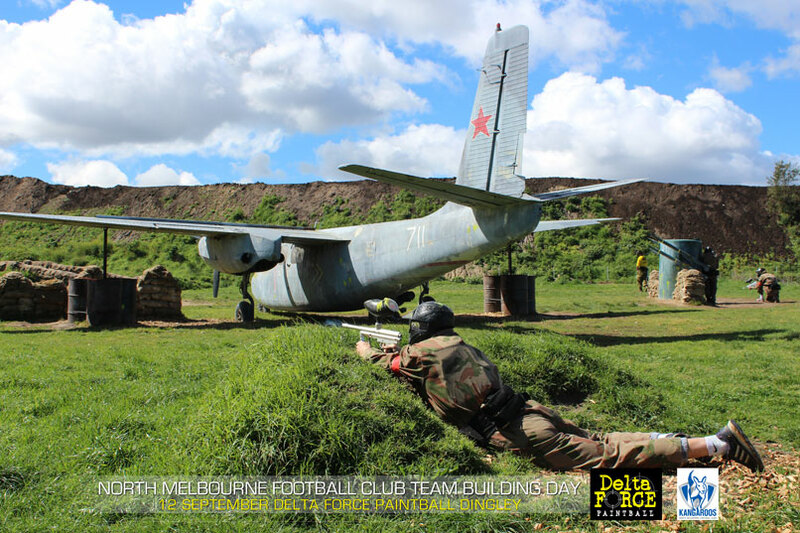 Delta Force Paintball specialises in this type of event and other corporate gatherings as well as various parties, school excursions, or simply a fun day out for anyone looking for a thrilling way to spend their weekend. 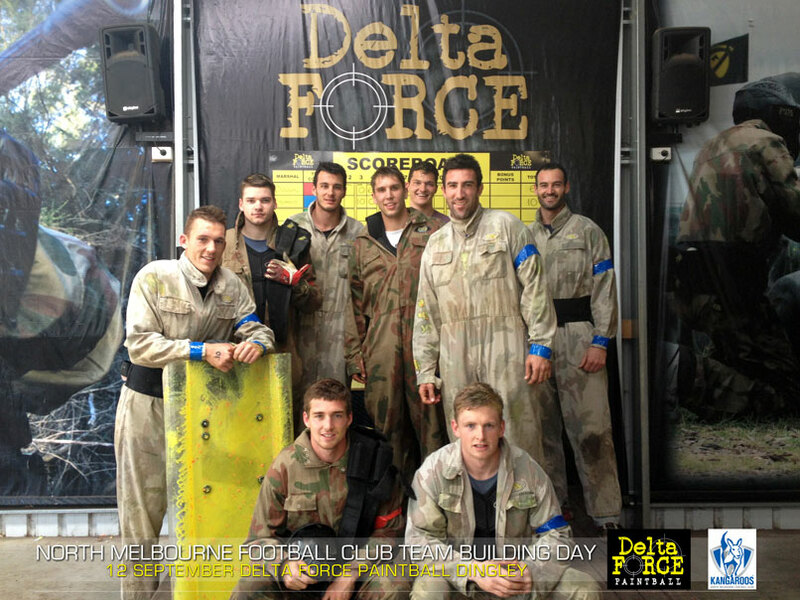 To see what had the AFL team running around in fits of laughter and vowing to return, visit https://www.deltaforcepaintball.com.au and book in to a Delta Force Paintball location near you. It’s paintball … but not as most people know it! With a 100% safety record and the best paintball centres in the country, it’s an experience unparalleled.